The 2017 Sample Acceptance Policy recommends the use of electronic request forms. Until you are set up for electronic requesting, the Open Exeter HMR101 form can be downloaded from the Exeter system. 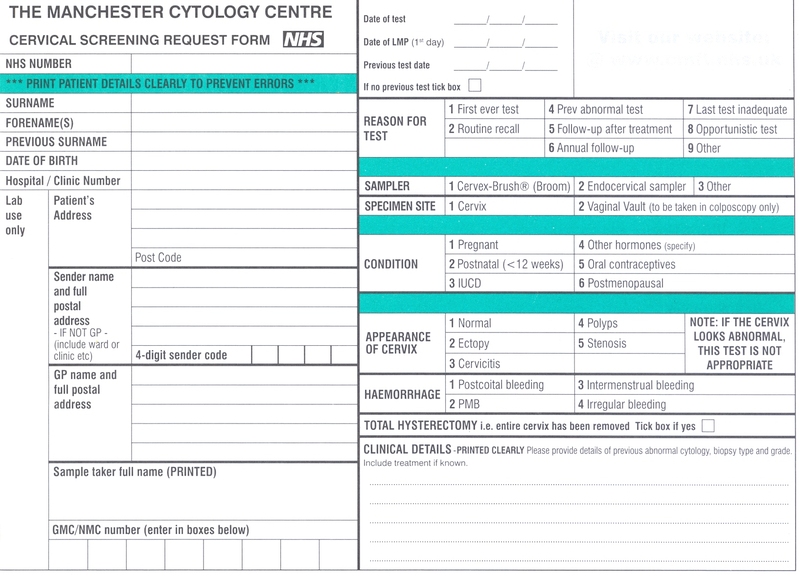 Please complete the form, paying particular attention to the provision of relevant clinical history. The version to use is HMR101 form A5 PDF (2009). This document will be pre-populated with the forename, surname, date of birth and NHS number, as well as the date of the previous test. 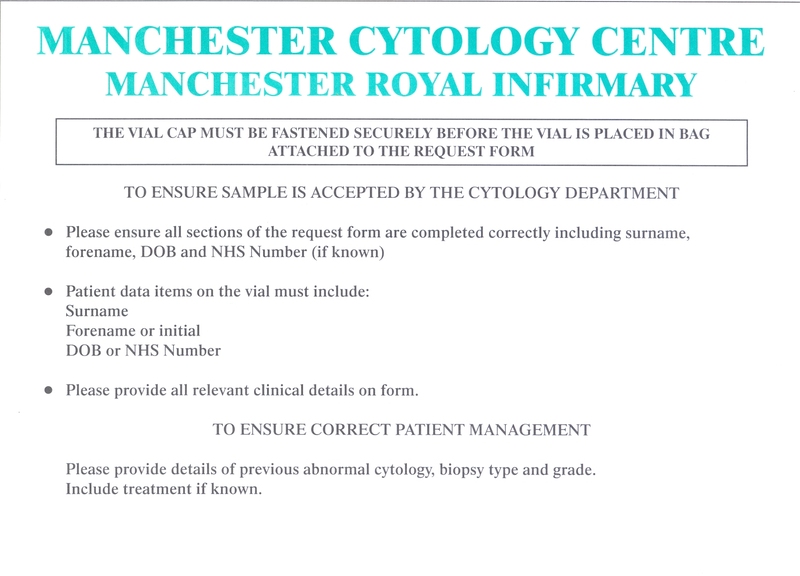 Also printed on the form is the cervical cytology history for the woman. These should only be used when electronic requesting or the Open Exeter forms are not available, or a patient is not registered on the Exeter system. 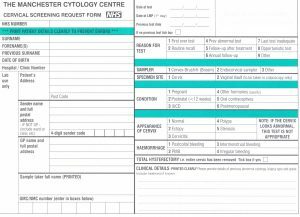 In this case the paper request form should be completed in full with all information PRINTED legibly or a printed label containing patient demographics can be used. 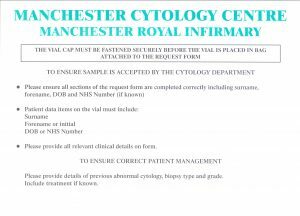 Whichever request form is used, the provision of information relating to previous biopsies (punch, LLETZ/loop, cone etc) with histology grade and date of biopsy, as well as details of any treatment are ESSENTIAL to ensure correct patient management is given. NHS number: The NHS number MUST be used whenever it is available as this is the unique patient identifier. In addition, the full forename, surname and date of birth MUST be given. PIN codes: The GMC or NMC number is the unique sample taker identifier. This information MUST be provided on all request forms. The sample taker name should also be printed clearly. If a PIN code is not given, is illegible or the sample taker is not registered on the CSTD, this is reportable to the Screening & Immunisation Team and the sample may be reported as inadequate.